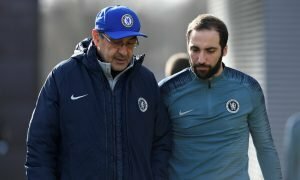 Frustrated Chelsea issue transfer ultimatum | The Transfer Tavern | News, breakdown and analysis on all things football! Chelsea fans in the Transfer Tavern have been a bit more upbeat in recent weeks and have reacted positively to reports that the Blues are being proactive ahead of the January market. However, the latest bit of news from the continent concerns a player already owned by the Blues- as TalkSport state Jose Mourinho’s side have threatened to pull the plug on Jeremie Boga’s loan stint with Rennes. 18-year-old Boga has started just once for the Ligue 1 side this season, with his other opportunities coming off the bench, and Mourinho has threatened to end the loan prematurely as a wealth of Championship clubs look to secure the teenager’s services. 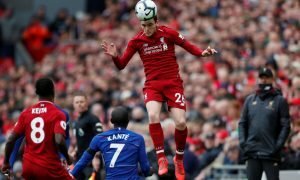 Chelsea’s loan scenarios have caused great controversy in recent years due to the wealth of talent they offload on a yearly basis but it seems to have backfired in this case. Perhaps jokingly, the fans at the bar have declared the young striker is a better option for their first-team than the current crop of Diego Costa, Radamel Falcao and Loic Remy- all of whom have failed to impress this term. 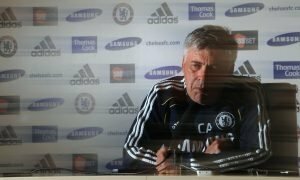 Do Chelsea need to decrease the number of players they send on loan? Let us know in the comments!